Lenders and creditors can tell a lot about a person from their credit score. But what goes into that number? Here are the five factors that affect it. We’ve all seen the ads telling us to check our credit scores. Most of these ads are American, but that doesn’t mean Canadians shouldn’t heed the advice. A good credit rating will make it easier to get a mortgage or a line of credit. Telecom companies may check your rating before they give you a phone, as will other businesses that want to know if you have good credit before they enter into an agreement with you. But how many Canadians really know how credit ratings work? Not enough, says Jeff Schwartz, executive director of Toronto’s Consolidated Credit Counseling Services of Canada. Your credit rating is determined by five factors: payment history, outstanding debt, credit account history, recent inquiries and types of credit. Payment history simply tracks whether you make your payments on time. If you’re late paying your bills, your rating could take a hit. Usually, a company will report a late payment to the credit bureau if it’s more than 30-days late, explains Schwartz. 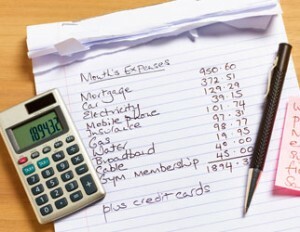 Having too much debt is another thing lenders look for. Lenders want to know whether your outstanding debt—credit cards, mortgages, lines of credit, etc.—exceeds your ability to pay it off. How much debt is too much? Heather Battison, TransUnion’s senior director responsible for consumer education, says you should try to limit the amount of debt you owe to no more than half of your credit limit. In other words, if you have two credit cards with $5,000 limits, and a $10,000 line of credit, you don’t want owe more than $10,000 between the three of these debt products. “Aim for balances under 30%,” she says. Credit history looks at how you’ve paid off loans in the past. You’ll get a better score if you’ve been using, and paying off, the same credit card for 10 years versus one you’ve had for only a few months. That’s why Battison cautions against cancelling cards, especially old ones. If you close an account, that credit history gets wiped out, she says. University credit cards are a good example of this, since people tend to stop using them after they’ve graduated. “Cancel ones with smaller limits or ones that are newer to you because they’re going to look to see you had that credit card for ten years and that you always paid on time,” she explains. Battison points out that you can have your credit rating pulled more than twice within two-week if you’re shopping for a mortgage or auto loans. That won’t raise any red flags, she says, it just signals that you’re likely shopping for something specific. Lastly, lenders want to know what type of credit you have. They want to see that you can handle more forms of credit than a simple credit card will give you. Having a mortgage, a car loan and a line of credit, in addition to a credit card, will help your rating. A perfect credit score is 900, but the average score for Canadians is around 700, says Battison, which is still a good number. Anything under 620 could affect your ability to secure a loan. If you do have a low score it doesn’t mean you’ll never be able to borrow again. Some places will lend you money, albeit at higher interest rates. You can also work on improving your score, too , but don’t expect improvements overnight. Schwartz says that it could take between six months to a couple of years of hard work before your score really improves. His advice is focus on paying your bills on time and keeping your overall balances below 50% of your total available credit. Still, for some time might be the only option. A bankruptcy, for example, can devastate a credit rating and it stays on your report for seven years. Delinquent payments can remain on the report for six years. Battison says everyone should check their scores once a year to make sure there are no inaccuracies and to see if it’s actually improving. If you’re looking for a new house, check every few months to see where you stand, she says. While the credit score is based on a set algorithm, how financial institutions use the information—reports also have credit card balance numbers among other things—is up to them. You may still get a loan with a low score, but it’s hard to know how much importance a lender will put on one part of the report over another. Her advice? Don’t wait for an ad to tell you to check your credit score. Pay attention to it, make sure it’s good and try to fix it if it’s not. “You need to check your credit,” she says. “Especially if you have a big purchase coming up. Want to find out your credit score? There are two credit reporting agencies that can provide this information: Equifax Canada and TransUnion. For a fee you can get your credit report instantly from one of these two companies. (Equifax charges $24.95 while TransUnion charges $14.95 for its instant credit reports.) You will need your social insurance number, driver’s license and other identifying information to fill in the online form. These companies will also give you your credit report for free, but you have to print off a form and mail it in. For more information read Industry Canada’s primer on credit reports.